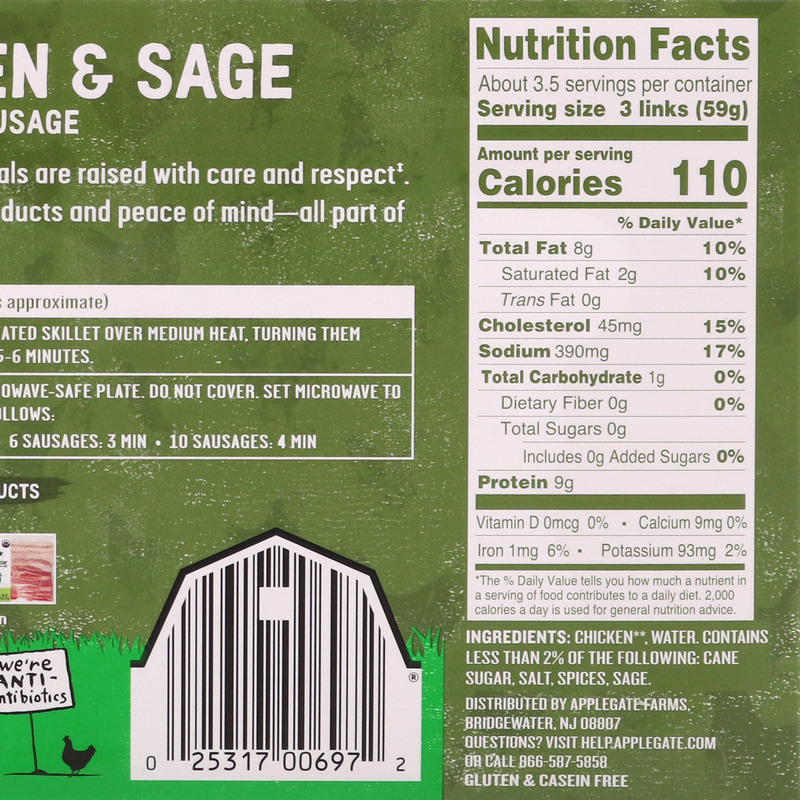 Pre-cooked natural chicken and sage breakfast sausages made from premium cuts of chicken. 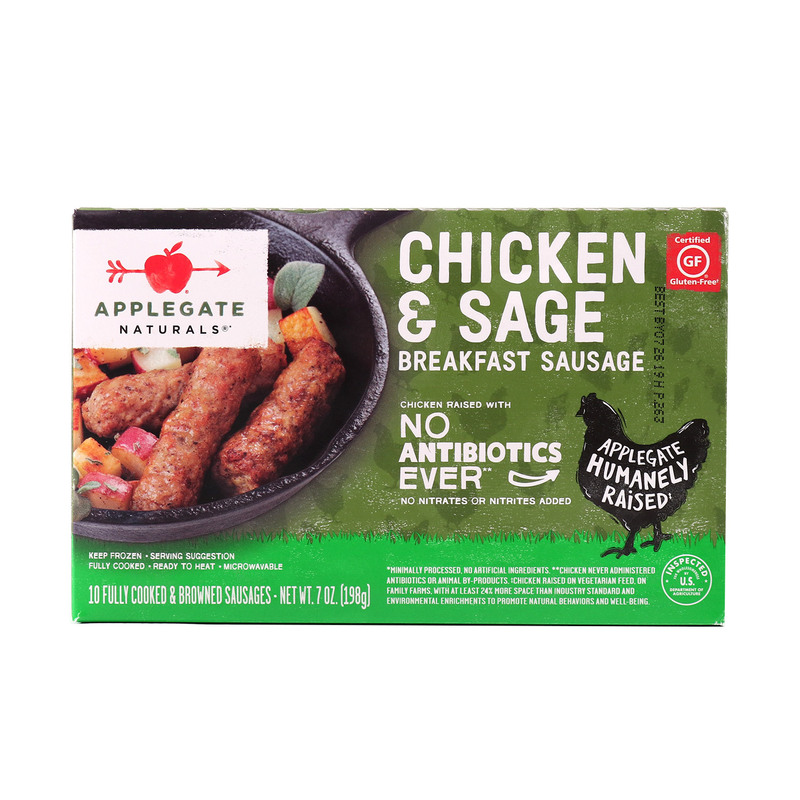 Juicy and full of flavor with 70% less fat than typical pork links. Ingredients: Chicken, Water. Contains Less Than 2% Of The Following: Sugar, Salt, Spices, Sage, Black Pepper, Ginger, White Pepper, Red Pepper.